The Hobby Polish Bloggers are at it again, and this time we are bringing you Valentine's Day nails! I hope you all have a special day, either with friends, children, or significant other! Due to some family issues, Valentine's Day has been put on hold for me and my husband. We will wait until later this month, and go out to a nice dinner. When trying to decide what to do for my nails, I knew that I wanted it to be fairly girly. I wanted to try out some of my stamp plates, but I need a bit more practice before I showcase that on here! I ended up deciding on a skittle mani. Here are the polishes that I used to create this look. I encourage you to visit all the other bloggers who are participating in this link-up. Right now, there are only a few other links, but check back though February 22 for more additions! Love 'em! Skittle manis are always so fun. Such a soft pink palette and love that you did a fancy skittle mani! I hadn't seen Zoya Ginni before, it's so pretty! 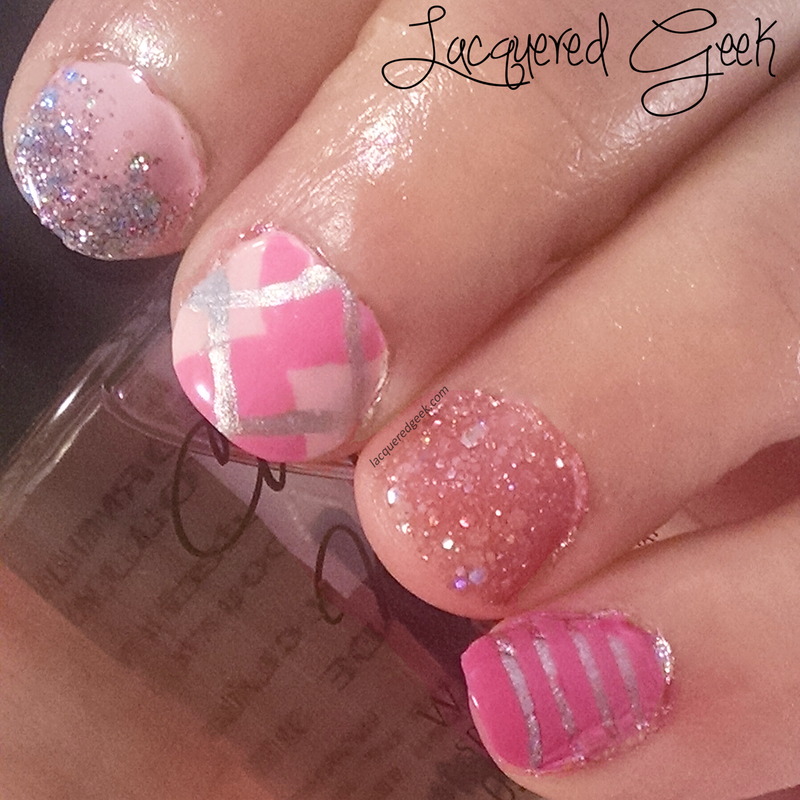 Zoya Ginni is one of my favorite zoyas!